I’m having a moment with guacamole. Or you know, avocados in general. If a dish contains avocados, I’m ordering it and/or eating it. I’m making up for all of those years where I insisted I did not like avocados (what the heck was wrong with me?) and joining the ranks. Wait, who isn’t having a moment with avocados?! Avocado toast is basically taking over the internet. I highly doubt I could ever meet a homemade guacamole that I wouldn’t like or readily dip a perfectly thin and crispy tortilla chip into, but this chunky grilled corn and poblano guac is definitely a favorite at the moment! 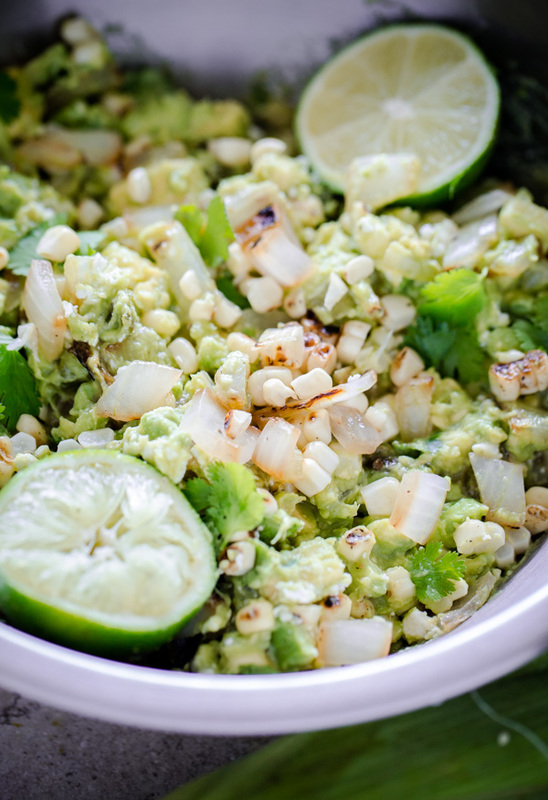 If I were to describe this recipe to anyone, I would simply say, “summer meets guacamole.” This chunky guacaamole is chock-ful of so many summer ingredients! Grilled fresh corn kernels? Check. 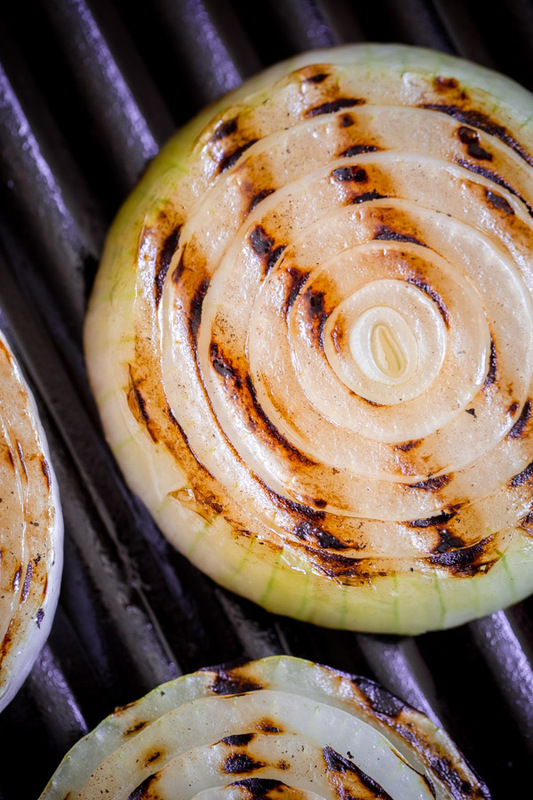 Smoky, char-grilled onion pieces?! Definitely. Oh, and a nice sprinkling of queso fresco cheese for good measure. 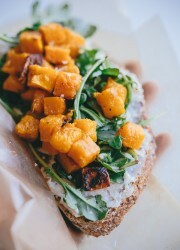 Cheese is an everyday ingredient around these parts, as it should be. Heat a grill pan (or outdoor grill) over medium-high heat. Brush the onion pieces with olive oil. Grill for 4 to 5 minutes on each side, or until browned. Set aside on a plate. 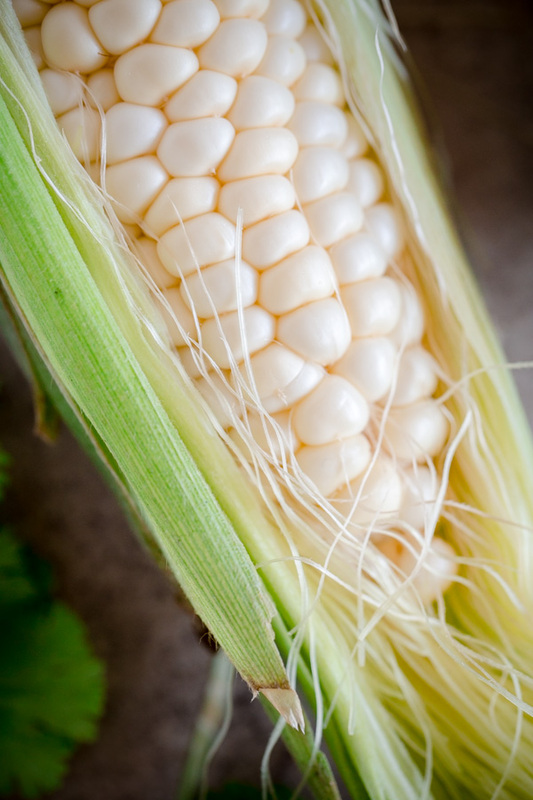 Repeat with the ear of corn, turning it until it is evenly grilled on all sides. Preheat the broiler to high. Roast the poblano chile (on a piece of foil; no oil needed) until blackened on all sides. Allow all of the vegetables to cool. Chop the onion pieces into a medium dice. Cut the kernels of corn off the cob, and rub the blackened skin off the poblano pepper, discard the stem and seeds, and cut into a small dice. Cut the avocados in half and pit them. Mash one avocado with a large fork in a large bowl. Cut the remaining avocados into a small dice, and add to the bowl. Add the chopped onion, grilled corn kernels, and diced poblano pepper to the bowl. 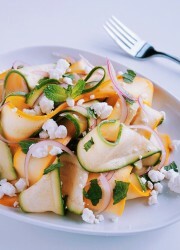 Add the queso fresco cheese, lime juice, and cilantro leaves and gently stir until evenly incorporated. 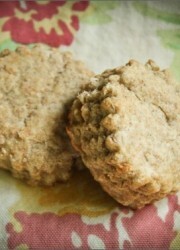 Season to taste with salt and pepper (and additional lime juice, if desired). 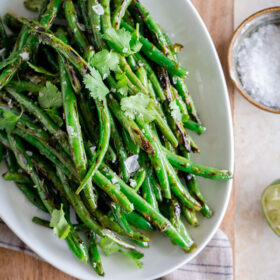 Serve with chips, or with grilled fish or shrimp. Adapted slightly from Frontera by Rick Bayless. I am CONSTANTLY having moments with guac. Like I want to spread it on my face it’s SO good. And with all that chunky, grilled goodness packed in!? OBSESSED. Pinned! I definitely have a lot of moments with guacamole (and avocados in general). And I want to have several moments with this! I want to dive into a big bowl of that ASAP – it looks downright glorious!! 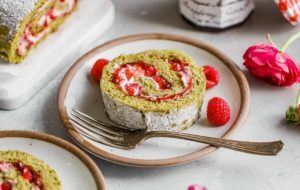 I too am making up for lost time – for years I mistakenly thought I hated avocados, just because my mom does. My mistake! I am definitely having a guacamole moment these days too! This version has everything I’d ever want and then some! Gorgeous. Holy guacamole. 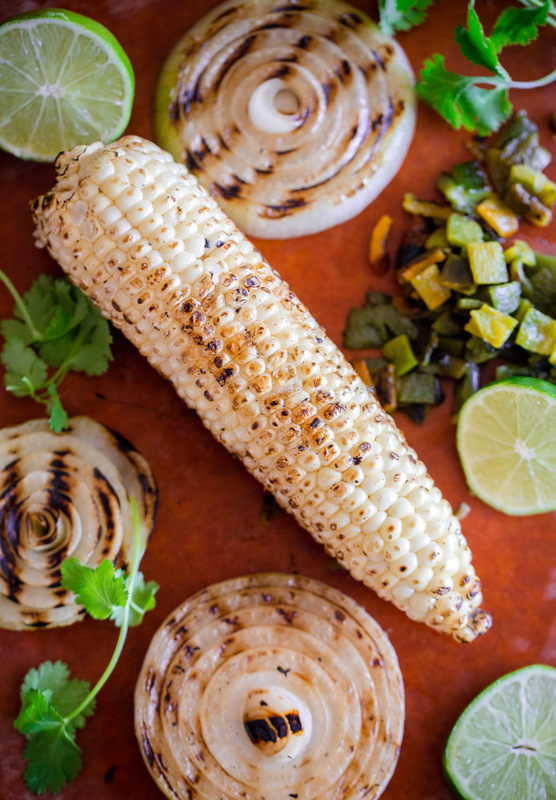 I love the addition of charred corn here – it looks like a pure taste of summer! 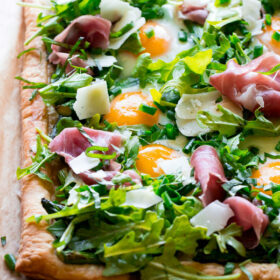 This looks so fabulous–almost seems like it could be a whole meal in and of itself! I’m always having a moment with avocados! 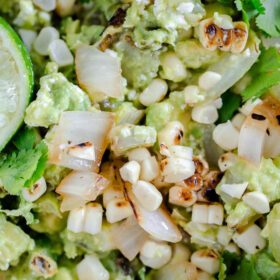 Ha – adding corn into my guac is my favorite but I love how you took it to another level by grilling the corn and onions! Too good! I love every single thing about this! Just perfect! This guacamole sounds fantastic! It’s like the entirety of summer in one bowl. Yay! The perfect summer guac!! Like the best street corn meets avocado. Best friends. This is my kind of guacamole! I love adding grilled corn to salsas–so I am sure adding it to guacamole would be so delicious. The poblanos are a great addition too. This is definitley a guac worth loving!! I’m so into all the grilled elements..I’m sure that adds so much smoky flavor!